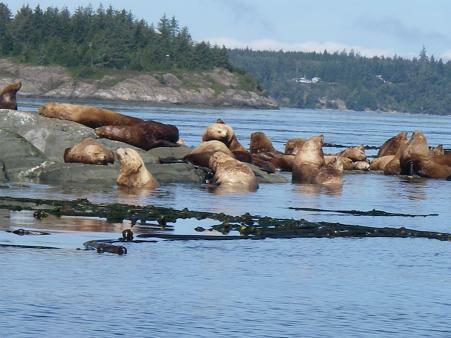 The tide is rising and the Steller sea lions are being forced into the water. The dominant males have the high ground and will remain there until they also go swimming. We have sea lions in our area all year but the numbers increase dramatically in the spring and fall when they migrate between California and Alaska. 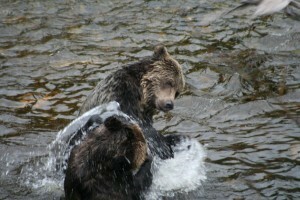 After August 25 our grizzly bear watching tours take place from the viewing stands. 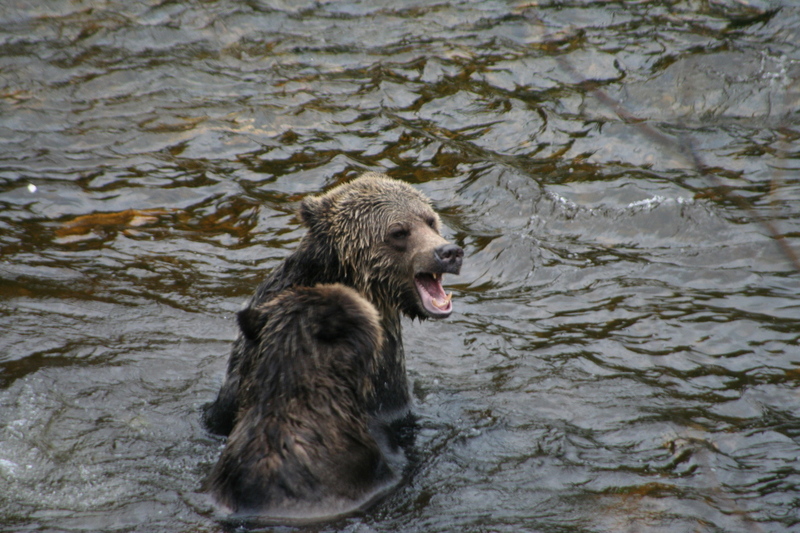 The stands are located on the Glendale River, which empties into British Columbia’s Knight Inlet. 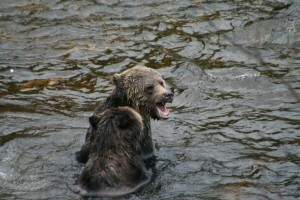 The salmon have arrived and are in the river and there is lots of wildlife beside the bears. Because of the abundance to salmon for food the grizzly bears often take a “time out” to play. These photos could have the captions: “Leave me alone” and a good right hook “Told you I used to box”. NOTE this is not one picture just posts that way! !